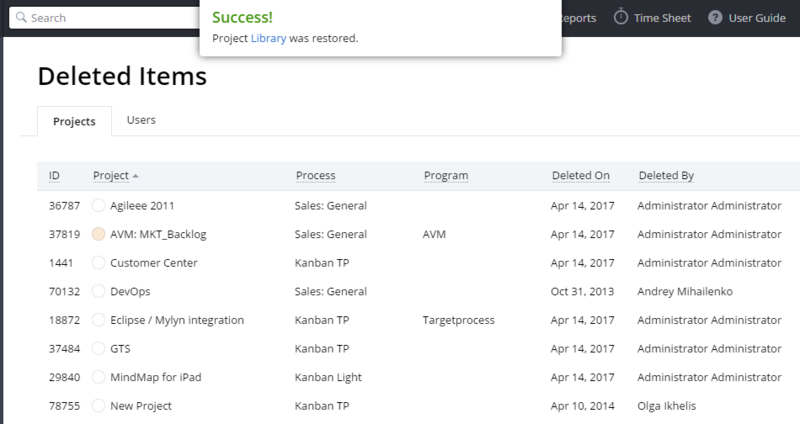 You can easily "undelete" Projects and Users from the "Deleted items" menu in Settings. 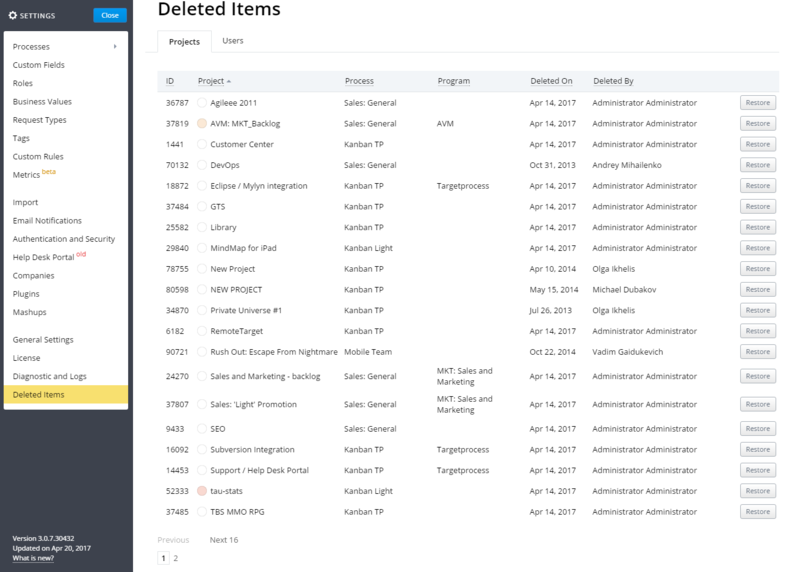 A list of deleted Projects is available for Administrators in Settings - > Deleted Items. A deleted User can be restored in a similar way. In Settings - > Deleted items there is a list of deleted Users. Just click the 'Restore' button next to the one you need. 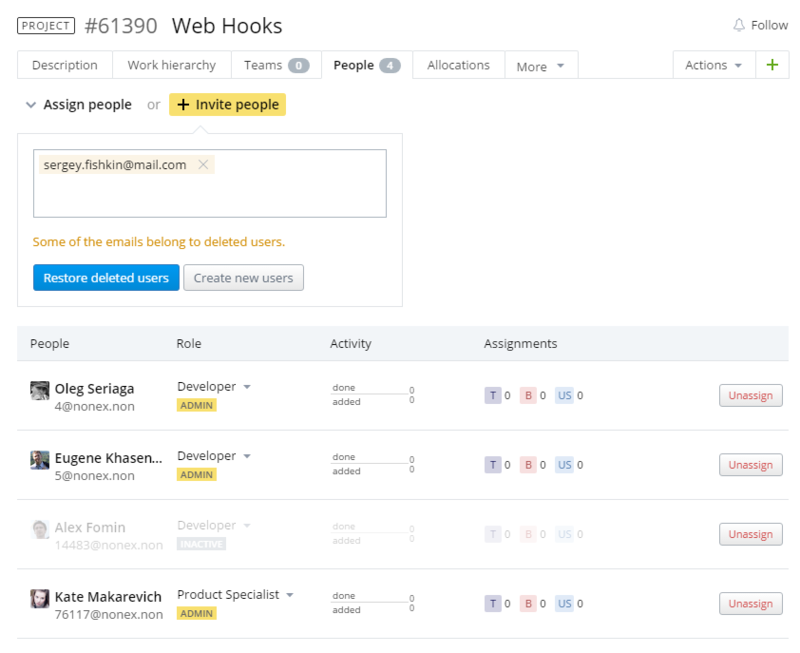 So, there is an option to restore an existing User with all their assignments, or to create a new User. 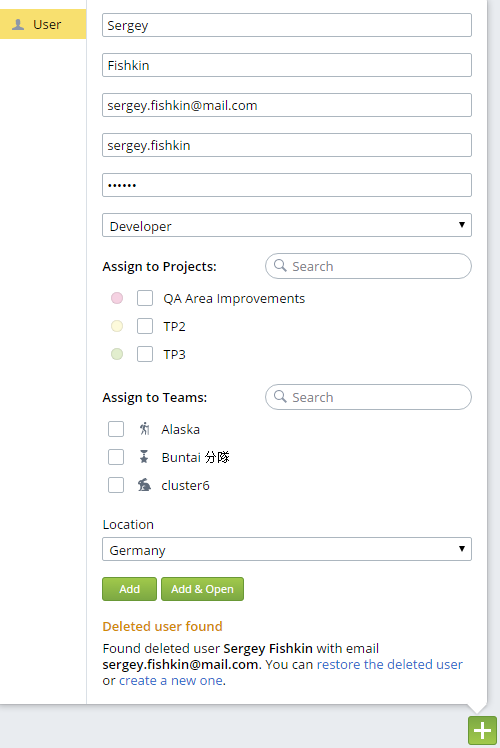 It is also possible to manage deleted Projects and Users via the API. We describe it in our developers guide: Undelete API. 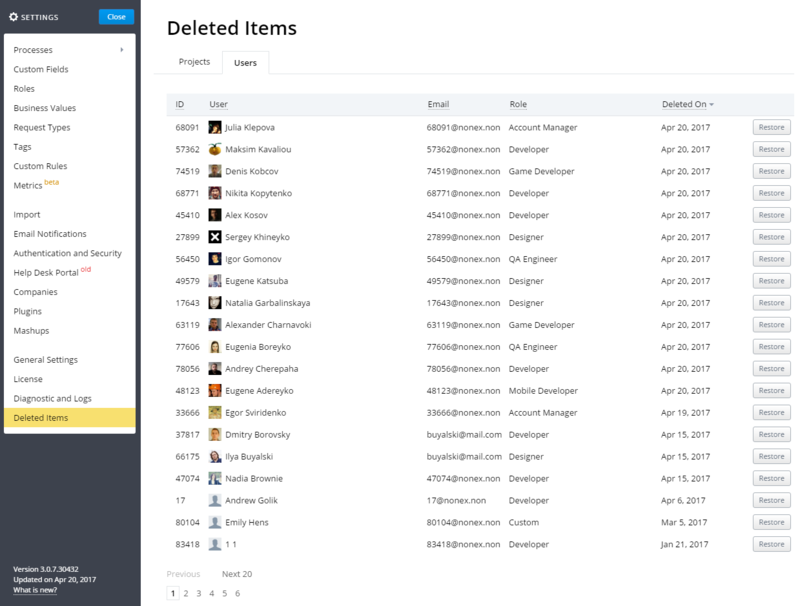 Undelete action for work items (User Stories, Tasks, Bugs, Features, Epics, Requests, Releases, Sprints etc.) is not supported for users within UI. However it is possible to restore entities through direct database access. Data recovery scripts are executed by Support Team members per your request.